The ERP decision-making process is typically lengthy and complex. From deciding on what functionality is most important to your business, to choosing a system that will provide quick and meaningful changes, deciding on the right ERP solution for your company can seem daunting. But don’t worry, we’ve got you covered. 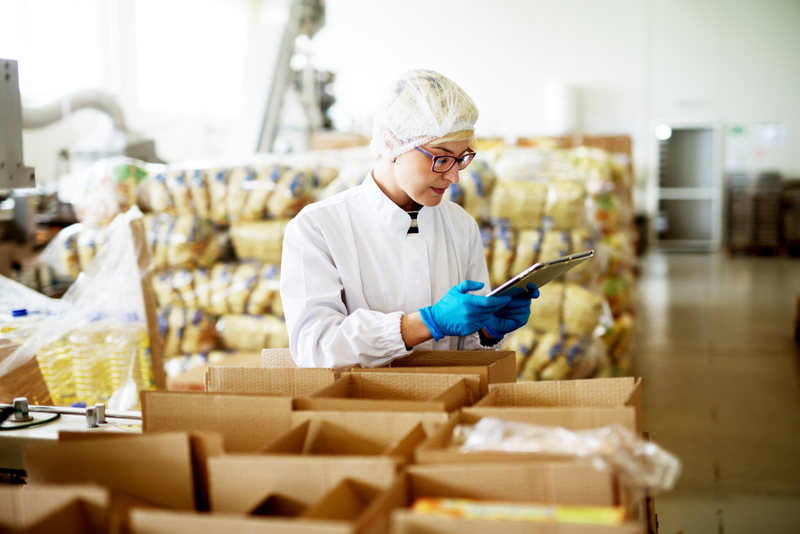 To help make this decision-making process a bit easier, we’ve talked to several food manufacturing, processing and distribution professionals who shared some of their tips on how to select and implement the right food manufacturing ERP solution for your food company. We get it: there are tons of ERP and business systems out there to choose from. But as a food manufacturer or distributor, you know that successfully managing a food business is complicated and comes with its own set of unique complexities. It’s also important to remember that not all food businesses operate the same way. A wholesale bakery runs much differently than a frozen food manufacturer, and a meat processor will have a completely different set of software requirements than a broadline distributor. So where do you start? Try making a list of the features and functionality that are currently missing from your existing system. If you’re doing things manually, make a “wish list” of features that would make operations run smoother if you had them in place. From there, you can focus your search on only those solutions that have that functionality available to you. Imagine this: you’re a warehouse worker or a machine technician who’s become a pro at your job. Now imagine that your management team has decided to implement a new software system across the entire organization, and you’re responsible for learning it as quickly (and as accurately) as possible. Stressful, right? Going from doing things manually or from a legacy system to a fully integrated ERP solution can be scary for everyone across your organization. Your accounting team must now learn how to input numbers and run calculations using a new system. Your QA team now has a new way of setting up quality checks and audits. If a new solution is too complicated, your employees could be left feeling confused, discouraged and undervalued. Look for an ERP that runs on a system that most of your workforce is probably already familiar with (like Microsoft Dynamics, for example). Working with an ERP solution vendor is so much more than simply buying the product and using it to run your business. There’s the implementation of the ERP solution, which typically takes six to nine months, and then ongoing support and services that will continue throughout the lifespan of your software. It’s important, then, to make sure that the ERP you choose is backed by a team of individuals dedicated to ensuring you succeed. For the food industry, this means professionals who are not only software experts, but food experts too. You wouldn’t hire someone who wasn’t a good fit to work in your warehouse, right? Think of the people working for your ERP provider in the same way. Because after all, they’re also accountable for the success of your business. It’s easy to get overwhelmed by the number of ERP solutions out there but remember to stay critical and specific with what you want to be able to get out of your solution. Choosing the right ERP means choosing a software that will help you improve food safety, streamline operational efficiency and manage business growth. Ready to learn more? Check out our webinar on how food and beverage companies select integrated business software for their business.